Providing the extra elements that enhance the personal meaning of a loved one’s sendoff, with the conveniences to make the gathering flow seamlessly, is our privilege. Our staff at Horan & McConaty seeks to present menu options that grant comfort and solace to families during a difficult time. We are pleased to guide you in your choices or manage all of the arrangements. Our exclusive Farewell Ride offers a unique remembrance for the motorcycle enthusiast. 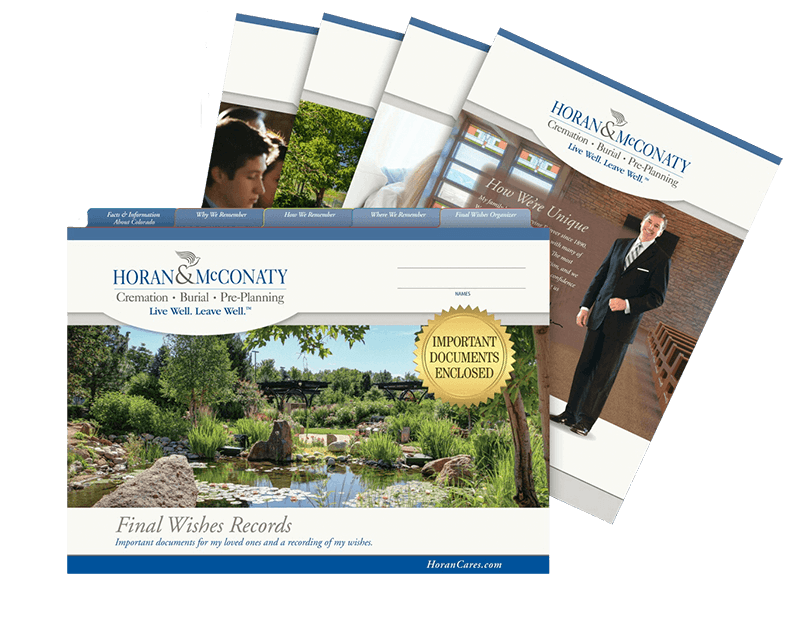 Many simply choose the option as a way to personalize their loved one's final journey. For millennia, the dove has symbolized the human soul. The vision of elegant birds taking flight is very poignant and uplifting. In the Candlelight Ceremony, each attendee may participate by lighting a lit white candle, symbolic of the eternal human soul. For many, the stirring sound of bagpipes highlights the reverent and sacred nature of a funeral. Bagpipers' skills vary considerably, so we select only the best musicians. Complimentary to you, an In-Loving-Memory Box holds cards, photos, and other small mementos collected during the funeral service. Inspired by the power of sharing and collecting memories as a coping tool for those who are grieving and as a legacy for future generations, we provide this keepsake as our gift to you.